The mention of great football nations especially in Africa is never complete without talking about The Super Eagles of Nigeria. 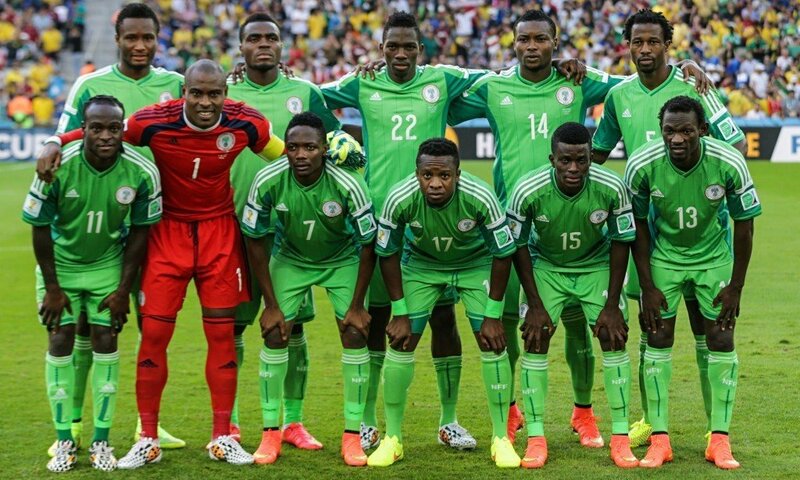 Previously known as the Green Eagles, the Super Eagles is Nigeria’s national football team. Since its inception, it has made a great impact in the football (soccer) scene both regionally and globally. Let’s take a trip down the memory lane and see the most amazing moments of this great team. Although football in Africa is gradually improving, many countries still lag behind great footballing nations in South America and Europe. However, Nigeria has always stood out as an exceptional case. The country has consistently featured among the top nations not only in Africa but also in the world. However, the greatest feat was accomplished in April of 1994 when the Super Eagles team was ranked 5th according to FIFA World Rankings. The Africa Cup of Nations formerly “The Mandela Cup” is the biggest soccer tournament that takes place on the continent. It features all the countries in Africa and takes place once in every two years. The Nigerian Super Eagles have won the Trophy a record of three times: 1980, 1994 and 2013. Although Nigeria has been playing soccer as early as the 1930’s while under the British Colony, the first official game was held in 1949. Nonetheless, its first accomplishment was during the All Africa Games held in 1973 where the team managed to get the Gold medal. In 1976 and 1978 the team finished second and third respectively. The dream of any national team is qualifying for the World Cup. This tournament is without a doubt the most prestigious event on the football calendar. Nigeria’s national soccer team has had a remarkable campaign having qualified for the World Cup 5 times. In the just concluded qualifiers, Nigeria walloped Ethiopia 4-1 to qualify for the 2014 World Cup in Brazil. As many people are aware, the World Cup is a very challenging championship. It features the very best of the world with each continent producing its best. The Nigerian Super Eagles have qualified for the World Cup 5 out of 6 times, and in their appearances, they have managed to stun the World by beating Soccer giants such as Spain as well as drawing with the likes of England. The team has managed to reach the round of 16 twice. One feat that is always rife in the minds of many Nigerians is the great achievement during the Summer Olympics held in Atlanta in 1996. The under 23 team caused an upset by not only winning the gold medal at the tournament but also becoming the first nation from Africa to ever have accomplished this achievement. The Super Eagles won the Afro-Asia Cup of Nations in 1995. This tournament hosts the winners of the African Cup of Nations (AFCON) against the champions of the Asian Games or Asian Cup. During this tournament, Nigeria crushed Uzbekistan, the Asian Champions 4-2 on aggregate. In 2010, Nigeria’s national soccer team won the WAFU (Western African Football Union) Nations Cup. This competition is held by member countries that belong to the Football Union in West Africa. Nigeria’s national football team won the CEDEAO Cup in 1990 and was also the runners-up in 1993. This tournament existed between 1977 and 1991. It was held by nations that belonged to a trading bloc known as ECOWAS (Economic Community of West African States) or CEDEAO (Communauté Economique Des Etats de l’Afrique de l’Ouest,) in French. The African continent has been producing world-class players, especially in the last two decades. However, Nigeria takes pride in being the country with the most influential players. The players have won national, regional, continental, as well as world accolades. Nigerian players also ply their trade in top football clubs in the world. Although the above achievements are impressive, Nigerians and other soccer fans alike still believe that the National team is yet to reach its climax. This follows the new crop of players such as Victor Moses, Obi Mikel, and Vincent Enyeama among others who are having a great impact in the football scene. Currently, Nigeria is coached by Stephen Keshi who was at one time a defender in the national team. They are ranked 36th in the FIFA World rankings.